I studied English and Spanish at the University of Nantes (France) and moved to Scotland when I was 20 and worked as a French assistant in Ayrshire. 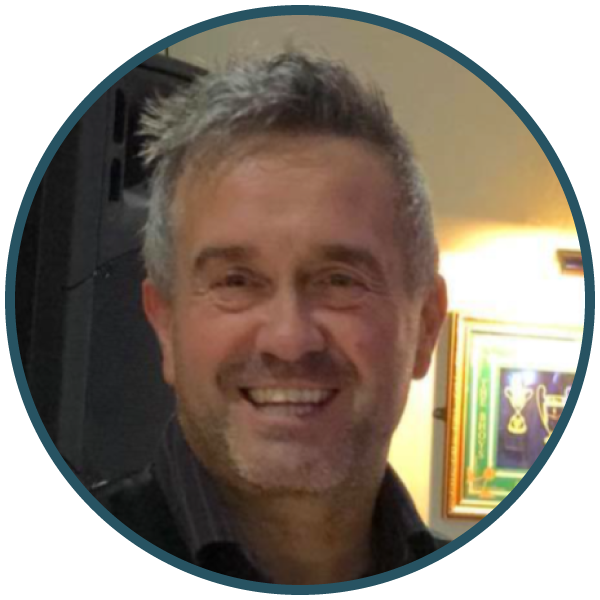 I settled in Scotland and for the last 30 years, I have been teaching French & Spanish in a secondary school. I love teaching and I love learning. Every day is a new experience because every class is different and every single person will leave the class with a little more knowledge of the target language. Being involved in Coffee Break allows me to have a wider audience and there is definitely something gratifying and rewarding to know that people have learned, progressed and felt more confident in the language they study, thanks to all the Coffee Break French material that has been published. Every year, I enjoy meeting our listeners in person at The Language Show and The France Show in London and actually seeing what CBF means to them. Watch Pierre-Benoît in action at the France Show in this video. PASS! Far too many, but it’s been a good laugh and I have enjoyed every single moment working with the team. I guess the most recent one being on the Coffee Break stand at the France Show in London, winding up my younger colleagues and on a more serious note, getting to meet customers and hear how they’ve enjoyed learning French with CBF. It’s also good to go back to “one’s humble roots” and I can’t help thinking back to the days when Mark started Coffee Break French and came to Pornic to record in my town and even in my house! I believe many episodes feature the voices of my father, my sisters and even my nieces! I guess I’m part of the Coffee Break family just like Mark is part of the Hériaud family. Not quite a coffee break, but I certainly enjoy a “music break”, so here’s a video of Mark and me performing a couple of our favourite songs, Francis Cabrel’s Petite Marie and Billy Joel’s She’s Always a Woman, recorded in a Facebook live session while in London for the France Show. Keep practising – as often as possible and do not get discouraged! I still make mistakes in English, in Spanish – in French! We all do… Keep going! Favourite word/phrase in French: Pas d’lézard! Favourite destination: anywhere… with nice people. All the best to all our listeners around the world with their language learning. Keep practising … et surtout, ne vous découragez pas ! Some years ago my husband and I were in a restaurant in Pré la Joux, in the Portes du Soleil. We noticed this man who we thought was French speaking to a waiter but were amazed to hear him speak to an English family in a Scottish accent. I was so intrigued that I went over and asked him why he as a fellow Scot was so good at French! 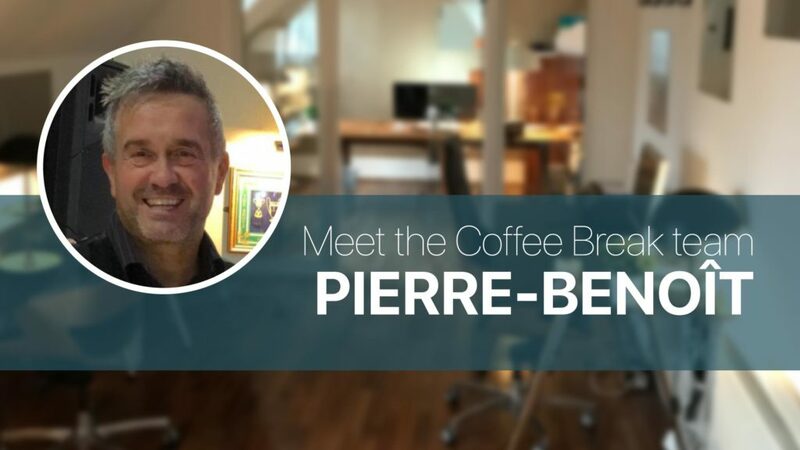 To cut a long story short, we had a cup of coffee with Pierre Benoit, he told us all about Coffee Break French and we have been following CBF ever since. I’ve downloaded the podcasts for Series 4 and am probably about to enrol on the premium course. In the meantime, we’ve just found the youTube video of the two of you performing 2 delightful songs – what multitalented people you are!